compared the MBDA to the CDAI using the clinical registry JointMan® (JM). medication efficacy and safety and reason for discontinuation of medications. Due to the retrospective analysis methodology not all data was available. than one Vectra score was 274. Pearson score, ρ = 0.4185 (P<0.001). Table 2. Contains the distribution of the paired data. settings are needed to continue to define the role of the MBDA score. Disclosure: S. Schwartzman, Discus Analytics, 9,Discus Analytics, 1,Crescendo, 9,Crescendo, 5,Crescendo, 8; K. Knapp, Discus Analytics, 1,Discus Analytics, 3; G. Craig, Discus Analytics, 1,Discus Analytics, 9; K. Ferguson, Discus Analytics, 1; H. Kenney, Discus Analytics, 1,Discus Analytics, 9,Crescendo, 8. Schwartzman S, Knapp K, Craig G, Ferguson K, Kenney H. Impact of a Multibiomarker Disease Activity Score in Patients with Rheumatoid Arthritis Treated in a Real World Setting [abstract]. Arthritis Rheumatol. 2015; 67 (suppl 10). 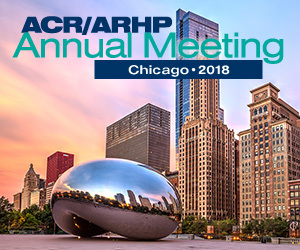 https://acrabstracts.org/abstract/impact-of-a-multibiomarker-disease-activity-score-in-patients-with-rheumatoid-arthritis-treated-in-a-real-world-setting/. Accessed April 20, 2019.